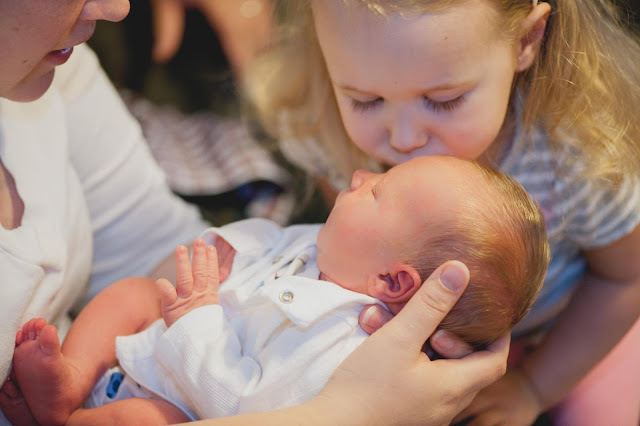 When I was pregnant with my son, I was worried how a new little person would fit into our family. Newborns need so much attention and I was worried how my toddler would feel. 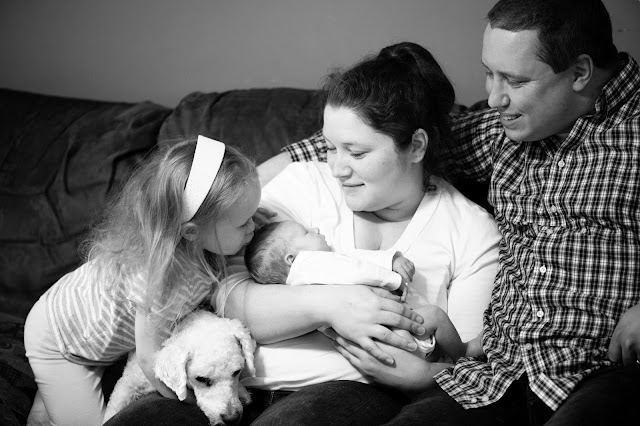 But as soon as we came home from the hospital, my little man fit into our family. We have a system set up and it has helped us find our formula for happiness. 1. Getting a good night's rest. We love sleep in our house. My kiddos need their bed time (on time) and night time routine. I like spending that time with them and it gives us some time to wind down after the busy day of errands, dance, school, and play. 2. Naps. Did I mention we love sleep? :) Since I adjusted my son to one nap a day, he is so much happier. I don't know why he didn't like the twice (or three times) a day like his big sister, but he would only sleep in 10 minute increments which wasn't happy for anyone. Now that he is on one nap a day he is much happy and I even convince his five year old sister to take nap now and again. 3. SNACKS! Yes, we are a snacking family. That doesn't mean I just give my kids cookies and chips all the time. Snacks in our house are carrots & hummus, granola bars, yogurt bites, etc. Children are natural grazers so we prefer smaller meals spread out through the day. 4. Make time for Play Time. Even babies like to roll around and have tummy time. Make time to play with your kiddos, but also make time for yourself. Get a pedicure, make a bubble bath, a little me time is refreshing and soothing. It's nice to unwind so you can start a new tomorrow. 5. Find Your Balance. Breastfeeding or Bottle Feeding. Cloth Diapers or disposables. To use a pacifier or not. Whatever works for your family is your formula for happiness. Things change with each baby and you learn to adapt. Go with the flow and don't sweat the small stuff. No matter if it is breast milk or formula, you will know what is best for you and your child. I breastfed, but I did always have Gerber® Good Start® Infant Formulas on hand. Parents have been asking for manufacturers to stop using GMOs in their products and more companies are listening. I am so happy to say that Gerber® Good Start® Infant Formulas are now all non-GMO. I love supporting companies that listen to parents and I am so grateful for all of the wonderful options that are available. What are your thoughts on the non-GMO initiative? What are some tips you have that has helped your family find the Formula for Happiness? I am really happy that companies are not using GMO's!! I also like that you go with the flow--every child is different!! What a wonderful post. Loved seeing the candid pics of your family spending bonding time together. I love that Gerber is non-GMO now! Congrats to you on your expanding family. Love seeing the precious family picture. Gerber was always a trusted name in my family too. What a beautiful family you have. I am glad to find out that gerber is going non-GMO in the infant formulas. Gorgeous pics! And I like your tips as well. Being a new mom is hard and we can all use all the help we can get. Beautiful photos and congratulations! Love and family are so important. They really do lead to happiness. I like how naps, snacks, and playtime are on your list. All so important! Yes yes yes! Finding your balance and your happiness is really key!! Naps and snacks are ALWAYS a win in my book!! 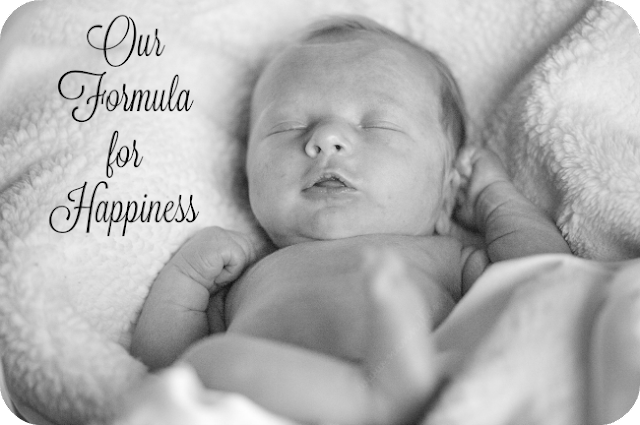 Thank you for sharing some of your family's "formula for happiness". I also will be entering a newborn into our home with a toddler, and have worried a bit how my toddler is going to react and how it will all fit together. I think the non-GMO initiative is WONDERFUL. We stay away from GMOs as much as possible, and although I think breast is best, there ARE circumstances where you need formula - and non-GMO is the way to go! I would say our family has found our own formula for happiness by getting my toddler on a schedule! Non GMOS is a great thing hope they are finally out.Love your ideas. (#1 & #2) Lots of rest is so important. My kids have been off their schedule lately and the youngest is fighting naps too....... I can definitely tell a difference!! PHEW! I nurse too, but I am so happy to hear about the non-GMO initiative! Playtime with the kids and healthy snacks is our formula for happiness. The kids just behave better all day if I take the time to sit down once a day and just play with them and they enjoy having their own little containers in the fridge at all times to get as they chose, and keeps me from having to stop every time want a snack! That is great that that they are non-GMO. You have a lovely family. What a great post and lovely family. I don't have children but I'm very supportive of the non-GMO movement in general. I love the baby photo! I also love that the snacks are healthy snacks...kudos! I would love to see a lot more companies going more toward non-GMO and healthier children options. I did the same thing! i breastfed, but I had a back-up too! You are so right about the GMOs too. I'm loving the non GMO foods for babies especially! I enjoyed reading your formula. I( know that this really helps out. I love naps. I always feel better after taking one. I feel non-GMO is so important for the little ones to keep healthy. Making time for playtime is so crucial! These are great tips for new parents! As an old parent, however, I know there are going to times when no one is sleeping and the kids will only want to eat what you don't have on hand! I loved seeing all the pics of your little family. And what a sweet baby! Congrats! They grow up so fast so get all the time you can with your kids. Well, I'm with you on SNACKS!, at least. I think it is so important to not have any GMOs in what we are eating and drinking -- espeically for kids and babies. Good to read someone's formula sounds like mine :);my baby is having her only once per day nap too..would love at least two,but no..Family pictures with kids always so cute!